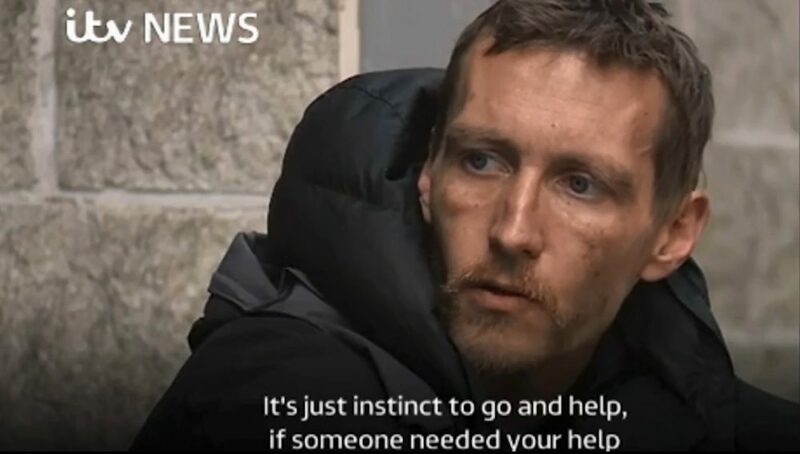 A homeless man who frantically pulled nails and glass from injured people’s eyes during the aftermath of the Manchester bombing has been awarded a place to live for his bravery. Stephen Jones, 35, described watching mothers weeping over the “lifeless” bodies of their children as he raced through the crowds in Manchester and carried victims to safety. “I… realised what was happening and saw children coming out, screaming and covered in blood,” 35-year-old Stephen Jones told ITV after helping to save the lives of wounded kids. “It was a lot of children with blood all over them, crying and screaming.” It wasn’t until Mr Jones wiped the blood and debris from children’s eyes that he saw the full extent of their injuries. “We were having to pull nails and bits of glass out of their arms and faces,” he said. The former bricklayer who has been sleeping rough in Manchester for more than a year, attracted the attention of West Ham United FC co-chairman David Sullivan and his son, who tracked down Mr Jones via social media and offered him free rent for six months. “Me and dad want to rent the homeless man in Manchester a house for six months to help him get on his feet. If anyone can help us get in touch much much appreciated. Such a self-less act needs rewarding. Please tag anyone who can help us,” David Sullivan Jr wrote in Twitter while trying to find the homeless hero. Mr Jones told the UK network he witnessed “hysterical” mothers crying next to their children’s bodies as he continued to carry more people to safety on Monday night. The former bricklayer said “I wouldn’t have been able to live with myself if I’d just walked away,” adding that he will never forget the horrific images of carnage he witnessed that night. Salman Abedi, 22 from Manchester has been identified as the suspected perpetrator of the attack which killed 22 people and injured 59 at an Ariana Grande concert. The youngest victim identified so far is eight-year-old girl Saffie Roussos, from Lancashire, north-west of Manchester.